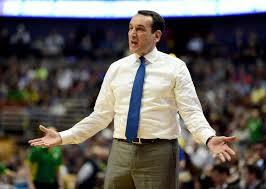 SDBB: Mirror, Mirror on the Wall … Can Coach K Straighten His Team Out After All ??? Before we go further, I must apologize to our readers for being absent since our Countdown Profiles. I have not been feeling up to snuff, and the Doctors took their sweet time in coming up with a diagnosis, as opposed to a palatable postulation. Anyway, Saturday’s game was more than I could stomach, so I will attempt to provide a faire but just commentary of the game, for the season left. Thanks for your understanding and standing by me during these difficult times !!! After having turned the corner of the conference season with an unforeseen loss to St. John’s, Duke looks forward to another struggling team in North Carolina. St. John’s is a bottom-dweller in the Big East with a 0-11 conference record and 11-13 overall records. Duke had no business losing this game that they went into as a comfortable odds-on favourite. All of these are rather hackneyed and overused observations, especially by a coach who just lost his 4th game of the season, when preseason predictions were for an undefeated, or nearly undefeated season. Having lost 3 games in-Conference, Duke has a not-so-easy schedule that resumes on Thursday. The comment from Coach K that wrenched my neck when I heard it was when he described the game as “… disgusting …” Really Coach ??? You are not using your whole team !!! You have nine (9) guys sitting on the Bench waiting, willing, and wanting to contribute, but you rarely call on them. Any of them could start on another team, but they came to YOU because they trusted that you’d allow them to contribute. There are many coaches who you respect, who realize that if their Starters are not getting it done, you don’t waste 32 minutes waiting for them to come into themselves, you replace them with players who WILL not be “… expressionless …” players. … doesn’t give any of them time to contribute, especially a guy who gets in for only 2 minutes !!! Replacing a Starter should be done based on their performance on that day. Being replaced, for not playing up to one’s capabilities, as opposed to only for being in foul trouble, is understood and recognized everywhere. Sometimes the replacement ought to be en masse’ while other times, it is appropriate to give another player an opportunity to contribute. In one of your XM Radio broadcast in January you complemented Jay Wright and Roy Williams for having “consistent” programs that have been to the Final Four twice in the last few years. Those are just two (2) coaches who understand the idea of making substitutions when they have “… expressionless …” players. Oh, if the team were to only share that percentage with Gary ??? Coach, for whatever reason, you have embraced the “one-and-done” recruit. You have used the strange excuse that they were given a significant “job offer” that should not have been turned down. That means you recruit more guys to replace the guys who left to accept up their offers. Personally, I believe to equate a “job offer” that almost all Duke graduates expect to receive, but after 4 years of study, is why you are filled with Frosh again, while the upperclassmen languish on the Bench. If you consider the theorem that “… for every reaction, there is an equal and opposite reaction …” every player you recruit, there will be one player who leaves for another school (as has been done by a player each year since the 2011-12 season) and another who leaves for the NBA. That’s not equal to the student who matriculates for four (4) years to earn a degree to get a normal job offer, but you’ll bring in more guys who have no intention of staying to matriculate for four (4) years !! What happened to the days of Jay Williams, who you personally orchestrated his ability to get his degree in 3 years ??? If full matriculation is not so important, then why do you require that a player graduate in order to have his jersey retired. Remember when it took years for Christian Laettner to get his up there ??? What’s going to happen next year when the only Senior will be Antonio Vrankovic, a true Senior, and Justin Robinson, who is a Red Shirt Junior, and thereby an academic Senior ??? Are you going to make players you have disregarded for years, team Captains ??? Coach, mirrors have a great way of making things “crystal clear” so I suggest it to you. After all, if you want to leave your legacy to be as it is presently, you have to live with the fact that starting four (4) Frosh is going to cause trouble … trouble that might be solved by the upperclassmen sitting on the Bench. Imagine how THEY feel ??? I’ll bet you dollars-to-donuts that you did not recruit any of them to the Bench, aka the Practice Squad !!! I wish you the best this Thursday, as always !!! Each and every year, the Selection Committee comes under severe scrutiny for who they admitted to the Big Dance, and who the omitted. This year, the consensus seems to be that everyone admitted deserved to be there, and those omitted were “no brainers” !!! The problem this year is that the Selection Committee came up with a term never revealed before … They call it “scrubbing” and regardless how many times the Committee Chair, Mark Hollis of Michigan State, answered queries from CBS or ESPN Commentators, he offered an expert version of circumlocution. It appears that this year’s Selection Committee decided, without telling the teams, that the season’s performance would outweigh the respective Conference Championship Tournaments. They obviously could are less who was injured early on – like Duke, or who was peaking going into Conference Championship Tournaments – like Duke, and thereby, the Big Dance !!! Hollis admitted that Duke started off as a #7 Seed going into the ACC Championship Tournament, and moved up to a #4 Seed, and then finally a #2 Seed. There seemed to be no chance for Duke to have acceded to a #1 Seed as the Selection Committee had leaked that the #1 Seeds were “locked” before most finished their Conference Championship Tournaments. If you haven’t noticed, I have chosen to use the correct name (and inference) for each Conference Championship Tournament. They are called this because winning the Conference regular season is a combination of winning Home and Away, and while often dealing with a myriad of problems, injuries, disciplinary situations, and generally being at full strength. Of course, I’m referring to Duke’s season going into the ACC Championship Tournament. So, my question is simple: Why does the Selection Committee disregard that each and every Conference considers their Championship Tournament to reflect the Champion of their Conference for the Season. Even if a team were to win the Regular Season, they are not truly considered Champions if they did not win the Championship Tournament. There you go … Every Conference was disregarded by the Selection Committee because they, in their infinite, but clearly flawed, wisdom “scrubbed” them from seeding the Conference Champions to reflect their earned position as Champions !!! If you consider the plethora of retired Head Coaches out there, I see no reason why they are not called on to apply their considerable knowledge, experience, and insight to thoughtfully picking who ought to be seeded where and why. When you need to create a term like “scrubbing,” which brings to mind things like Brillo, Mr. Clean, and Dawn, you have failed before you have begun. So, Mr. Hollis … instead of the knee-jerk seeding of Gonzaga, who virtually played nobody of any substance except Arizona, why wasn’t Duke seeded #1 ??? 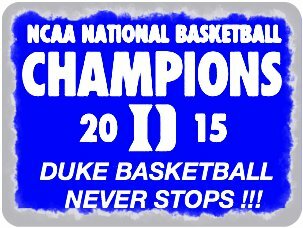 Sure, North Carolina won the Regular Season, but Duke beat them twice !!! Sure, Duke had a difficult, injury ridden season that included their Head Coach, but they still survived to win their Championship Tournament in the toughest – as reflected by their mammoth number of teams in the Big Dance – conference in the nation. 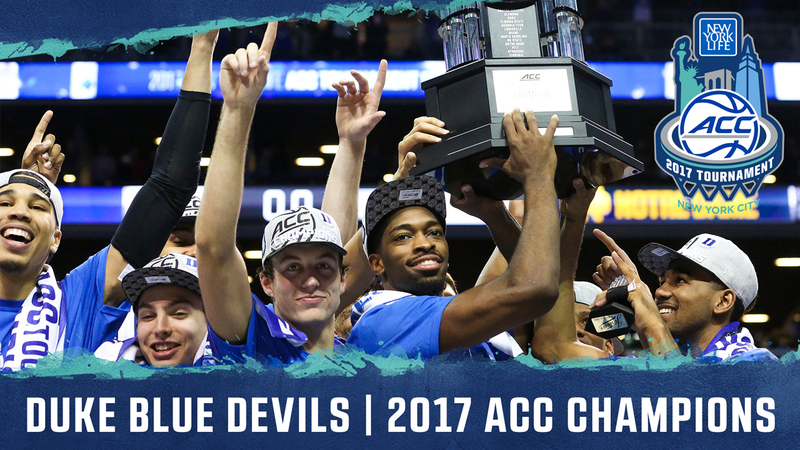 SDBB: Congratulations to The Duke Blue Devils on Winning the 2017 ACC Tournament !!! Congratulations are in order for our Duke Blue Devils, who, despite wearing those inappropriate black uniforms, won the 2017 ACC Tournament in Record Setting form. No other team in ACC history has won four (4) games in a row to win the event. The major aspect that was demonstrated soundly, was the fact that a healthy Duke was “peaking” at the right time after a season that saw them often disappoint causing many fans to wonder about their voracity going into the post-season. It was indeed a wonderful metamorphosis to behold !!! Congratulations, and Good Luck in the Big Dance !!! It is never easy to report the passing of someone everyone knew, respected, and admired. So, the only way I could report the passing of North Carolina Coach Bill Guthridge this past Tuesday is to note that he has rejoined his best friend on the Bench. Thanks for joining us !!! Jeff Goodman thinks there is a cloud hanging over North Carolina’s head regarding the academic scandal, and that might be why so many 2015 Recruits spurned North Carolina. While that may be an issue it is not the only factor that affects UNC. North Carolina has been a victim of their own recruiting success. They have too many interchangeable players at certain positions. The problem with this is that kids play with one eye on the Court and another on the Bench. They know if they make a mistake they are easily replaced. That’s why it is the teams with short rotations that are normally the most successful. If coaches empower their athletes they will perform better. They can focus on the game and not get distracted with their playing time. Just look at the last four teams in the Final Four. All those teams kept a short rotation, even Kentucky, as their best players played the most minutes. Roy Williams has always played with a deep rotation. That’s probably not going to change, as when you recruit “one-and-done” players they need to be showcased. They don’t want to be stuck in a platoon system, a lesson John Calipari recently learned the hard way. After going 38-1, he now sees kids that normally rush to commit to his program, go elsewhere. Apparently, opposing coaches used that platoon system against him, leading Calipari to vent on his website declaring that platooning was probably is a onetime affair. If kids don’t want to go to Kentucky because they fear platooning, then they will eschew UNC for same reason. Why would Jaylen Brown or Brandon Ingram want to share playing time with Justin Jackson and Theo Pinson when they can go elsewhere and get as much playing time as they need ??? Why Would Ivan Rabb want to play with established Kennedy Meeks and Brice Johnson ??? Stephen Zimmerman is a top Center, where would playing time come for him ??? The days of stockpiling recruits and letting them learn behind upperclassmen are over. Roy Williams should probably have been concentrating on recruiting one or two guys that can shoot, as that is currently a glaring weakness for the Tar Heels. Unfortunately, he is trying in vain to recruit these elite players at positions he already had filled makes no sense. That’s one reason why top recruits didn’t even want to visit UNC. Another factor that might affect North Carolina’s recruiting negatively is the play of Justin Jackson, Theo Pinson and Harrison Barnes. Duke basketball Report defines a “potential one-and-done” recruit as a player who is ranked among the Top 10 prospects in his high school class. Jackson and Pinson were ranked 8th and 10th respectively by ESPN, which meant that they were ideal candidates to play only one season in college. Pinson got injured in January but before that, he did not play like a “one-and-done” candidate, and even as he got healthy was played sparingly. Jackson had a better season, but he had a bad start to the season, shooting 9-of-52 3-Pointers in his first 25 games. He did not look like an early NBA Draft entry candidate, according to draftexpress.com, and will be back for another season along with Pinson. It is hard to believe that these two were ranked ahead of Justise Winslow (15th according to ESPN). Since 2010, Coach K has a 100% record of having his Top 10 recruits getting drafted high at their earliest opportunity. That is probably closer to the real reason Ingram chose Duke over North Carolina. When you recruit potential “one-and-done” players, and they do not leave after their first season, it is a blight on your program in this day and age. It gives an edge to rivals in the recruiting process. In the last seven years, every #1 rated recruit by ESPN has spent only one year in college except one: Harrison Barnes, the top recruit in the 2010 class. Barnes had a solid, if not inconsistent, Freshman season then returned to North Carolina for his Sophomore season and was then drafted 7th by Golden State Warriors in 2012. Barnes was projected as a Top 5 pick, if not Top 3 after his Freshman season. Regardless of the circumstances that made Barnes return for the second stint, the fact that he lost ground in the Draft is more fodder for rival recruiters. If you compare Barnes’ Freshman stats to Andrew Wiggins’s Freshman stats, there isn’t much of a difference. Yet Wiggins was taken 1st in the Draft after being a projected Top 3 prospect, (not that Golden State is complaining). It took Coach K a while to convince elite recruits that Duke was a great place to play, now Roy Williams is falling into the same boat. Duke prevailed in their 2nd meeting with North Carolina at the Dean Dome. This game had it’s ups and downs, with Duke coming out hard and fast, then losing their lead, and finally taking the lead for good. Did we learn anything we didn’t think of yet ??? When Duke came out so hot, I was I worried that they would run of gas, Coach K subbed his whole Bench, and Carolina caught up, taking the lead at the Half. It’s pretty obvious that, while they are capable of running with anyone, they give away something when the Starters need a “blow.” While I think they would prefer to see a more measured approach, I don’t know if it’s possible. That concerns me with teams that have a very competent bench. Duke is very resilient. Last year’s team would have given up, or lost composure, after UNC took the lead. Every CBB media outlet has lit up saying maybe Duke has “peaked” at the right time. Is there anything they need to work on ??? I think that’s much ado about nothing. Traditionally, Duke draws an always tough Carolina, so if they win, especially for the second time, the media lights up. I will see how they look in the ACC Tournament in possibly three (3) straight days of play. That’s the big test to see if they can hold up. Of course, they will have a bit more time to recover in the Big Dance, but this week is the fire that sharpens the blade !!! The thing about the Post Season Tournaments is that everyone starts at zero. Murray State was peaking at the right time when they blitzed the Ohio Valley Conference 16-0, but fell in the Conference Finals tournament to Belmont. Duke found a way to win the Carolina game. Not every game is going to be the same especially with the stakes being raised as it is now win, or go home. No second chances. We can take comfort with the thought that they are a tight knit bunch and they enjoy playing together. Tyus Jones and Quinn Cook do a masterful job of knowing when to take over games, and when to defer to other teammates. This should well help them going forward especially if Amile Jefferson can find himself. Tyus has become the newest “Little Big Man” in Duke’s long line of Guards. Has he met or surpassed your expectations of him from back when we profiled him in October ??? I believe that comparisons are usually unfaire both to the present player and the alum. Each player has his own specific style as it relates to their team. The biggest aspect of concern this year was how Tyus would mesh with Quinny. Well, the skeptics have all gone silent as the pair work like bread on butter. My favourite thing about Tyus is how he always mentions his teammates and backs it up with his floor play. He is the guy who gets it done, regardless of how he has to do it. Against Carolina, he matched Amile’s team-high 6 Rebounds, doled our 7 Assists, shot 50% from both outside and inside the Arc, and was 12 of 12 at the Charity Stripe to lead the team with 24 Points. Only one other player in Duke history did things like that – Bobby Hurley. I’m sure both Bobby and Tyus would enjoy the comparison, especially because it’s made with such fondness for both !!! I knew Jones had great ball control and could pass but, coming into the season, I was worried about two things regarding Tyus Jones, his ability to finish around the basket and to shoot the basketball. He currently shoots 40% of his 3 Pointers and has no problem finishing around the basket. Plus he gets to the free throw line just under five times a game where he is shooting 88%. There have been plenty of wonders about why Amile was not getting minutes. He got 31 big minutes against Carolina. 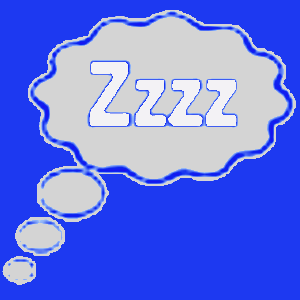 What impression do you have after the game ??? Amile is a true leader. As a Co-Captain, he has done whatever it took to lead, even if it was from the Bench. In this game he played plenty and was a “garbage man,” meaning he did a lot of dirty work. His stats will never show the hustle he showed, but he seemed to be in on every play. Most important to me was his 6 Rebounds with 5 of them being on the Offensive Boards. That is probably the least emphasized statistic is college basketball. He got the job done, and that was great to see !!! I understand that the reason given for his “demotion” was that he was not rebounding well, so Matt Jones was elevated to the starting line up, which made little sense. In the Carolina game we saw exactly how Jefferson affects the game with his defense. He only had 6rebounds and 3 points to show for that 31 minutes, but at the end of the game Jay Bilas had high praise for Jefferson and his defensive awareness. Any surprises for you ??? I’m not so surprised. Justise might have been higher had he not gotten banged-up in the middle of the season. I also think that just having four (4) players honoured like this is sensational, regardless of which team they are named to. On the contrary, not having anyone being mentioned to the Defensive Team is disheartening, but at the same time, profoundly honest. Going forward, defense will be pivotal to moving forward in both the ACC Tournament and the Big Dance. I think Duke’s idea of Defense is to outscore their opponents. On a more serious note, I would only peg Matt Jones and Amile Jefferson as defensive players, but Jones’ defense has deteriorated this season and Jefferson spent more time watching ACC games than playing. Once again, Duke players have succumbed to foot and ankle problems. It seems to be somewhat of a pervasive and omni-present aspect of Duke Basketball. In a day when uniform, footwear, and clothing manufactures seem to have a great deal of preeminence in the life of over the teams who they sponsor, do you see Nike as being responsible ??? I have not laced up a pair of “sneakers” in ages, but I do know that each manufacturer’s products fit differently. I also know that very often the manufacturers make footwear with more accent on style than performance. They are in business to sell products, which is why Duke has a third uniform that is NOT in Duke’s official colours. While I’m not an Orthopedist, I have to wonder about the support of the recent Nike shoes based on the injuries realized. I’d surely be interested in a comparative analysis of ankle and foot injuries across the country by manufacturer. This might be a little difficult to prove. I did see on Twitter that they might be wearing Kyrie Irving’s new shoes. Kentucky has completed an undefeated season. Are we going to talk about this ??? We should because going undefeated is an amazing feat no matter the circumstances. Some people say the SEC is weak this year, though ESPN “Bracketologist,” Joe Lunardi currently has the SEC sending 5 teams dancing, which is one less than the ACC. Florida, the one team that can be counted on to annually humble John Calipari is a long shot to make the tournament. In good faith we must congratulate the players for having a remarkable season. Going undefeated is an achievement that cannot be taken away from them. Yes, Kentucky has gone undefeated and they deserve our recognition. I’m not as impressed as many fans, or most of the media. I also find it an anathema to compare them to the Indiana team of 1975-76. That team was essentially a team of “nobodies,” led by an all-time Hall of Fame coach, not a guy who has had wins vacated. Pomeroy has their Strength of Schedule rating as 38th and 99th for it’s out of conference schedule. Their conference strength is at 5th, 6th, or 7th in the nation, dependent on who you believe. I think Kentucky can be beaten by a team with a well-organized Game Plan, which they stick to strictly. To paraphrase Michael Corleone of “GodFather” fame: “If anything is this life is certain, if history has taught us anything, it is that you (can beat) anyone.” I’ll put my faith in this concept. “After Sleeping on It …” – Frosh Grayson Allen Steals the Show on Duke’s Senior Night vs Wake Forest !!! Every year, the final Home Game of the year is dedicated as Senior Night for those players graduating. It is their last game in front of the Cameron Crazies, and a chance for all fans to thank the player(s) for their contributions. This year, it was Quinn Cook’s night. We wondered why Sean Kelly – a “Walk-On” in this his last year only got 2 insignificant minutes. This game also meant something more, as a win would clinch a #2 Seed in the ACC Tournament next week. Well, you might say that it turned into the Grayson Allen Show as he scored 19 of his 27 Points on 4 of 5 outside the Arc, 9 of 11 from inside, and 5 of 6 from the Charity Stripe. He also logged 4 Rebounds. Indeed he was !!! He made the best of a night when he would see 24 minutes on the floor. He scored from all over, even tipping in an errant shot as the “bigs” flailed aimlessly. On a night when we say “Good-Bye” to those players of the present, we saw a bright shining star beginning to glow for the future !!! Are we sure that all of Duke’s foot problems down thru the past few years cannot be tied to the Nike shoes they wear ??? Behind Grayson was Matt with 17 Points after starting off cold. Justise and “Quinny” each had 13. Justise led Rebounding with 6, and 7 Assists !!! This was a wonderful night for the faithful, and a wonderful way to end the season at Cameron. Saturday night caps the conference season at Carolina at 9PM on ESPN, where the next chapter in “the greatest rivalry in all of sport” will be written !!! Thanks, Quinn !!! Thanks, Sean !!! We always seem to ask this question because this team continues to mature and gain poise, but aside from that, what did we learn from this performance ??? Very well said !!! I’m sure Coach K has found an opportunity to thank and praise the efforts of Duke’s “6th Man” – The Cameron Crazies. I basically think we learned that these young men are growing up fast, because they have had to. It is a very good thing as March approaches quickly. Who do you give the Game Ball to ??? Quinn Cook started out the game with some hot shooting, keeping North Carolina at bay, even though they were playing better. I have to credit everyone for playing at an incredible level, especially Jahlil Okafor for coming back out after an injury sustained in the 1st Half. I didn’t think he needed to play the whole 2nd Half, but Marshall Plumlee did not exactly sell himself as a viable replacement in limited minutes. Hopefully, it is just a precaution but I understand the Freshman is now wearing a boot. He played a good game and rebounded well on a night when Duke was struggling to control the boards, especially on the Offensive side. In the end the gap in rebounds was not as big as it looked like, 49-46, but that’s because Duke was able to address that issue during the game. Okafor had a huge part in that. The game ball goes to Tyus Jones. When the game was all but lost, he went through the UNC defense like a hot knife through butter, scoring 9 straight points at one point, not to mention sending the game to overtime with a driving layup. I agree with you on Tyus. It’s funny that he originally described himself as a “pass first” type of Point Guard. That’s hard to believe by just looking at the Box Scores, but watching him on the floor shows a very special dimension. He has emerged as the “take charge” guy who reminds me a bit of Bobby Hurley in the way he does that. Inasmuch as he gets the ball to who needs it, and if that’s not available, he takes it himself. I also love his deflecting praise to his teammates. That’s wonderful !!! Immediately after the game, which ESPN was “all in” and began to crown Quinn and Tyus as maybe the best BackCourt in CBB. Remember when everyone was worried about how they would work together ??? What do you think now ??? I am not sure about them being the best backcourt but I think they work very well together. Not many BackCourts score 44 points in such a monumental game though. I wouldn’t trade them for the world, but I cannot anoint them the best backcourt, yet. Let’s face it, the media jumps to ridiculous conclusions, and I have always wondered how a coach keeps his kids from actually believing all of it. The idea is that they must keep an “even strain” for the sake of the team, and when they do, they shine. The best aspect of all of this is I do not think anyone has thought about the earlier concerns for one moment thru this season. That’s a great thing going forward because it means that this great mindset is imbedded. What do you think of that ??? Whenever Coach K is in a dogfight he doubles down and goes back to his tried and trusted method of relying on his First Five, unless foul trouble forces his hand. I thought Grayson Allen looked good in limited minutes, but Plumlee looked outclassed. Do you think Jahlil Okafor should have played that much on such a bum ankle ??? I have heard a lot of ideas, and even proffered one myself in liking the old fashioned 2-1-2 with Amile in the Center position and “Oaks” and “Plums” at the Forwards. I’m not the Coach, and I’m sure they have thought of it. I think seeing Grayson more often is more likely as he is developing well into the player we expected him to be. Coach K noted that he relied on the adrenaline pumping to keep “Oaks” going despite the pain. I think putting him on the Bench would have not allowed him to take advantage of Carolina’s single-teaming him, plus, on the Bench, he might have stiffened up, making re-entry to the game difficult. I’m also pretty sure that the team OrthoPod OK’d his playing further on. After using it here and there since the Louisville game, why don’t you think we saw a Zone in this game ??? I thought I saw glimpses of am occasional Zone but I guess perimeter offense was not too much of a threat. Nate Britt had his moments and Marcus Paige had a tough night. The damage was being done on the inside by Brice Johnson and Kennedy Meeks. I don’t think Roy Williams knows what he has with Joel James because he could have reproduced Johnson’s contribution after he fouled out. I was looking for it and each time I thought I saw those wisps of a Zone, they evaporated into the old Man-to-Man Defense. I thought the Zone might keep Carolina out of the Paint, plus even a slight showing of “Orange” could have thrown them off for a bit. On the other hand, you might see it in March. I’m sure Coach Roy might have been expecting it, and that won’t change next time. Afterward, some Duke fans bemoaned the officiating on Twitter. What do you think ??? I will agree with Jay Bilas when he said it was equally bad on both sides of the court. I believe that the officiating was much better than the Syracuse game. I cannot recall a heinous issue, even though people like Doug Gottlieb made a big deal out of a few calls down the line. Once again, I believe that some members of the media often over emphasize, or even dramatize, things just to have something to say that sounds unique. Jahlil Okafor is now walking in a boot and is questionable for Saturday’s Clemson game. Do you think Duke can win without him ??? 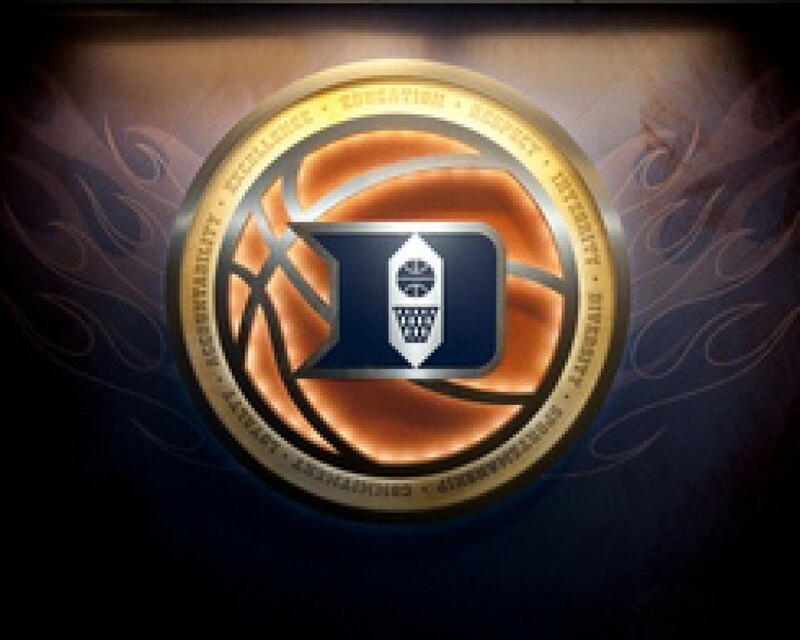 Clemson is a tough opponent with or without Okafor, but I like Duke’s chances either way. I hope that there is not a let down after such a great game on such a short turnaround. Fortunately they are home, which helps. Clemson’s record does not reflect their ability to be a stern opponent. Please know that we welcome your comments !!! Rarely in sport, or any other faction of society, has there been a man who has had such an impact on so many. On February 7th, we lost that man to eternity, and probably the best line-up he ever coached. There are so many accomplishments that mean so much to so many that it’s hard to accurately ever count them, so these are the ones that we believe were the most important and part of the “Carolina Way” he instituted. Equally worthy of being named initially here is his promotion of the desegregation of his team by recruiting and giving Charlie Scott a full scholarship. This was at a time when people like Kentucky’s Adolph Rupp would not play a team with Black Players. He instituted so many aspects taken for granted in today’s game. The huddling at the Charity Stripe, pointing at the player who made the pass to a player who scored, and the hand signal by a tired player, were all instituted by Coach Smith. North Carolina never had a “one-and-done” player under Coach Smith, and it was he who instituted a “Senior Day” on the last home game of the year to honour his Players who fully matriculated. That included Bench Players and even Walk-On Players. Coach Smith recorded 879 all time Wins in 36 years, and while his records have been and will be surpassed, he will be remembered for how he did so while ushering in the “modern era” of college basketball. Coach Wooden of UCLA and Coach Knight of Indiana may have preceded him as greats, but neither had the caliber of competition North Carolina faced. From 1977 thru 1993, Coach Smith was recognized as National Coach of the Year 4 times. From 1967 thru 1993, he was ACC Coach of the Year on 8 occasions. Of course, he was inducted into both the Basketball Hall of Fame and North Carolina Sports Hall of Fame. Sports Illustrated made him Sportsman of the Year, while naming him one of 5 greatest American coaches in any sport. He was also awarded the Arthur Ashe Courage Award by ESPN. Coach Smith was enshrined as one of the 5 original members of the National Collegiate Basketball Hall of Fame. Finally, he was awarded the Presidential Medal of Freedom. According conventional knowledge, in 1986, when the University of North Carolina named their new athletic facility as the Dean E. Smith Student Activities Centre (AKA “The Dean Dome”) there had never been a major arena named for a living, actively coaching personality. It was an honour everyone agreed was proper and fitting, even if it defied conventional wisdom. It goes without having to mention that Coach Smith has seen many of his Players go on to both the NBA and the coaching ranks. Interestingly, he is also one of only three who have both played and then coached a National Championship Basketball Team. Coach Smith was not only an athletic personality, he took his position in the community seriously. An active Democrat, he took the lead in the desegregation movement, and was even recruited to political office. While turning down the offers, he did support his alumni within North Carolina. All the numbers and all the accolades could never adequately encapsulate the very wide swath of influence this man had on so many. The measure of his influence can only be measured by how many now feel they need to speak out about him, now that he is gone, and do so with such admiration, affection, adoration, and appreciation. “Play Hard, Play Smart, Play Together” !! !